Good Value all inclusive UK Track Days! 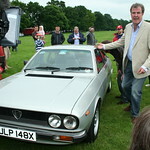 Lancia Beta Forum > General Category > Events 2012 > Good Value all inclusive UK Track Days! I’ve tried a couple of different track day company’s, and can honestly say opentrack offer real value for money, and are very easy to deal with. If any members would like to book a day, Dave has agreed to give us further discount, please pm me for prices (does not have to be a Lancia) all cars welcome. Re: Good Value all inclusive UK Track Days!